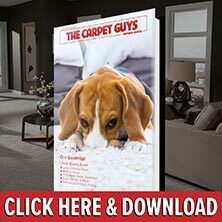 Are you looking for the best carpet dealer in Groveland? If so, then look no further, for The Carpet Guys are here to lend a helping hand. With us by your side, we guarantee that you will find satisfaction with your new flooring. We are the finest carpet installers in Groveland, and we say that with confidence. Let The Carpet Guys make the process of buying new carpeting simple and exciting for you. You cannot go wrong with us. If you are ready to get new carpet installed in your home, contact us today. We are the best place to buy new carpet, and we promise that you will agree once your installation is complete. Take a few moments and schedule a free in-home estimate to get started. Either fill out the form on our website or call in and speak with a friendly representative. Scheduling is quick and easy, and in no time, your new flooring will be the envy of your friends and neighbors.